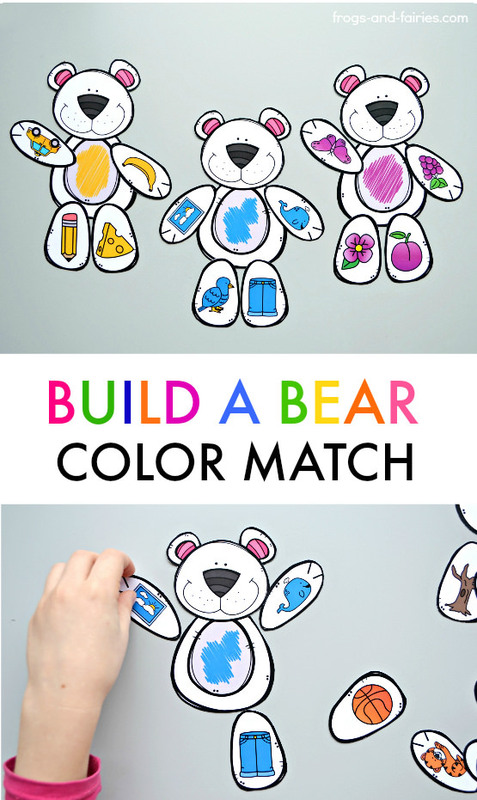 Color matching will be fun with this Build a Bear Color Match printable activity for preschoolers! 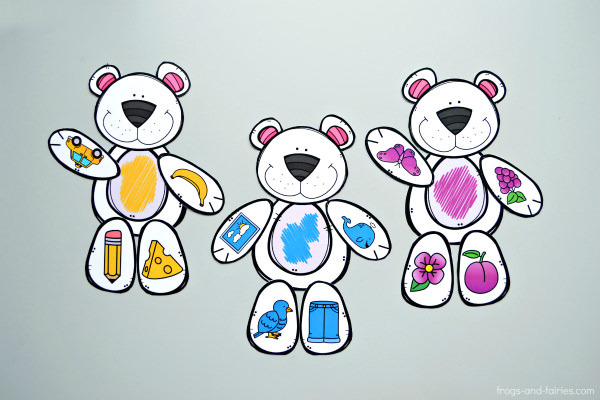 Your kids will build the bears by matching the color of the object to the correct bear. 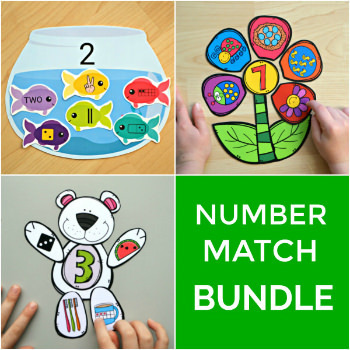 This number match activity features bear pieces with a lot of fun images, to make sure your kids stay interested and also have a lot of fun learning! 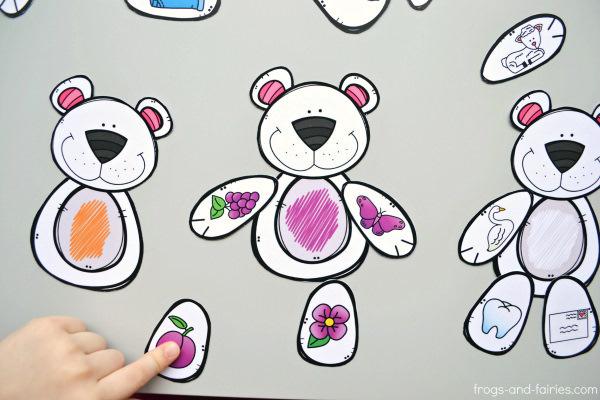 This printable features 11 different bears! To prepare, simply print out the bear pieces. 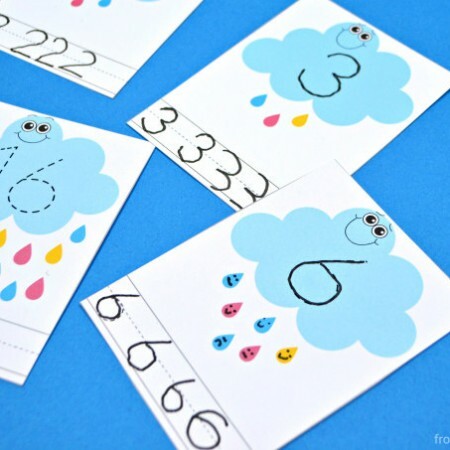 Print them on cardstock or laminate for extra durability. 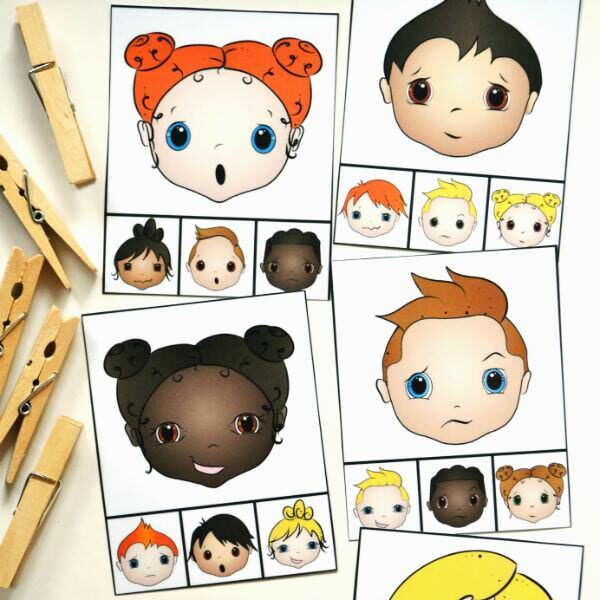 Cut out the pieces and have lots of fun learning! To purchase the Build a Bear Color Match, click HERE. 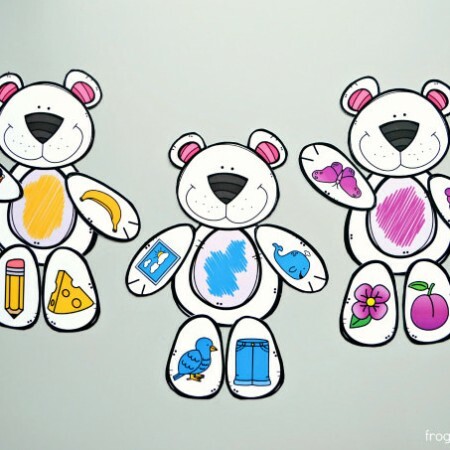 If you like these cute color matching bears, make sure to also check out our Build a Bear Number Match, Letter Match and Shape Match activities! 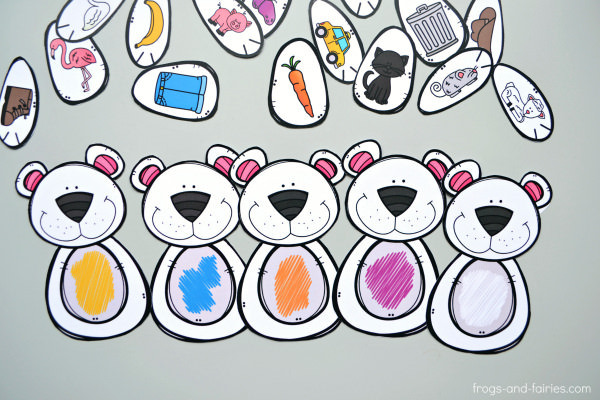 This printable PDF includes 6 pages of 11 x 5 bear pieces. TO PREP: Print out the bear pieces. 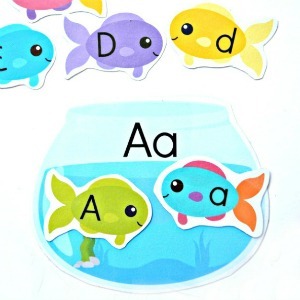 Print them on cardstock or laminate for extra durability. Cut them out. TO PLAY: Let your kids match color arm and legs to the color on the bear. Have fun! Grab this printable in my shop or add it to your cart now!